Engineering Material: Part of inanimate matter, which is useful to engineer in the practice of his profession (used to produce products according to the needs and demand of society). Material Science: Primarily concerned with the search for basic knowledge about internal structure, properties and processing of materials and their complex interactions/relationships. (a). Metals (e.g. 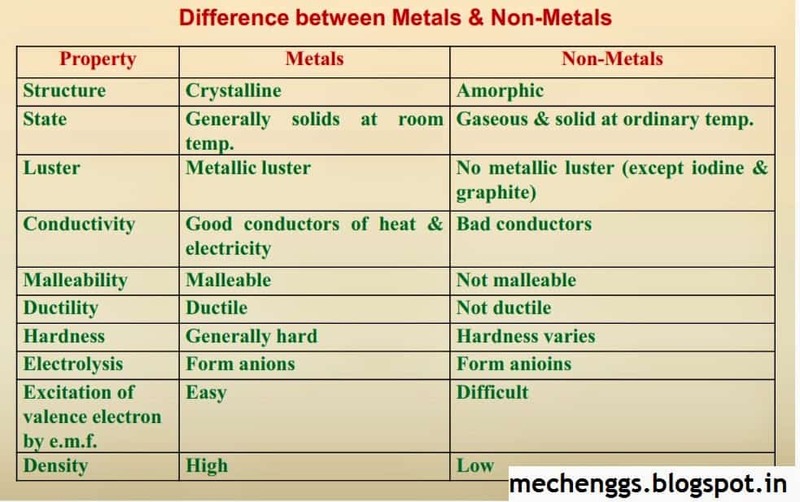 iron, aluminium, copper, zinc, lead, etc) Iron as the base metal. (e). Bio Materials: e.g. man-made proteins, artificial bacterium. hardening, strain rate effect, vibration resistance, wear. • Thermal: e.g. thermal conductivity, expansion coefficient, Resistivity, thermal shock resistance, thermal diffusivity. • Electrical: e.g. conductivity, resistivity, dielectric strength, thermoelectricity, superconductivity, electric hysteresis. • Magnetic: e.g. ferromagnetism, paramagnetism, diamagnetism, magnetic permeability, coercive force, curie temperature, magnetic hysteresis. • Chemical: e.g. reactivity, corrosion resistance, polymerization, composition, acidity, alkalinity. • Optical: e.g. reflectivity, refractivity, absorptivity, transparency, opaqueness, color, luster. • Metallurgical: e.g. grain size, heat treatment done / required, anisotropy, hardenability.